Android is an OS where you can Customize almost everything. 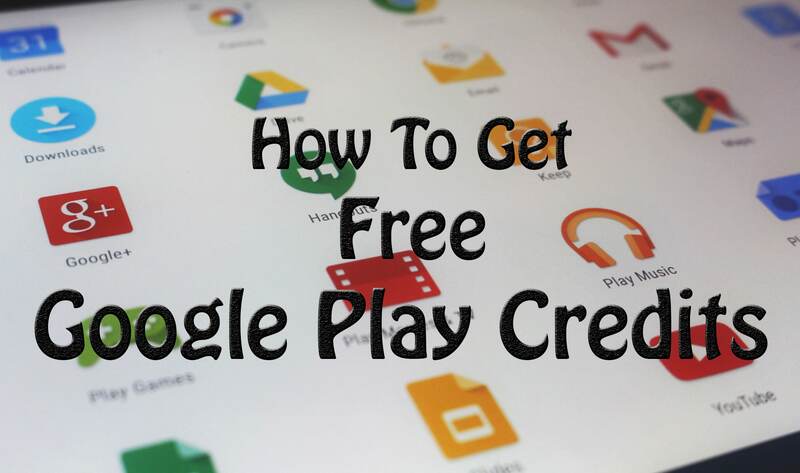 I have already shared many Android Customization Articles and today I am going to share How to Change Call Screen Background In Android. Whenever there is an Incoming Call on your Phone, you have to see the same boring default UI. So, why not to Change Incoming Call UI & make your phone look different and unique? Changing the Calling Theme is not a difficult task, you just have to Set Custom Calling Theme using any of the methods below. You can use this method on almost every Android Device to Change Call Screen Animation. When it comes to Android, there are many things you can customize manually like Changing Notification Bar, Changing Keyboard Theme, Changing Android Fonts, etc. and today I am going to Share How to Change Call Screen Background On Android. So, without wasting more time, let’s proceed further and check out How to Change Call Screen Background In Android. 1 How to Change Call Screen Background In Android? 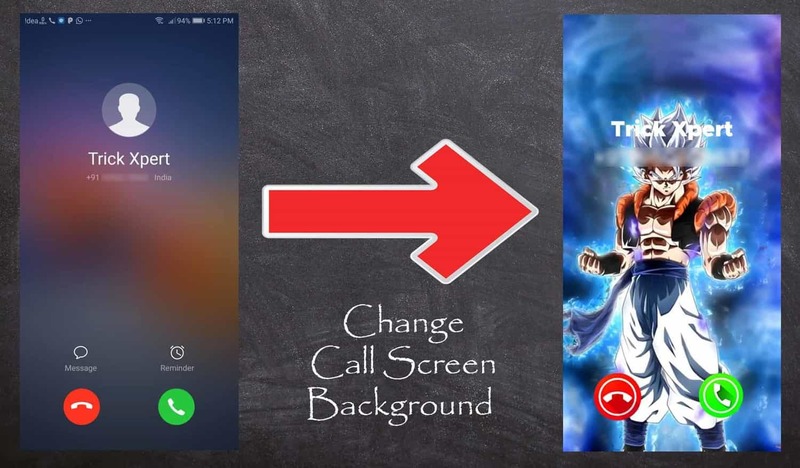 How to Change Call Screen Background In Android? There are many different methods to Customize Call Background and you can select any of them whichever you like. Also, it depends on your Phone that which method will work properly. So, here I’ve shared the Top 3 Methods using which you can Change Caller Screen on Android Phone. Android is a Platform where you can get tons of Apps for each and every work. 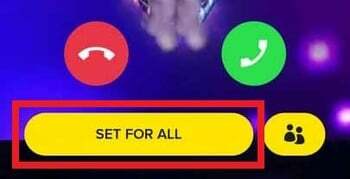 So, why not to take profit of the App and use it to Change Call Screen Color and Design? Though there are many different Apps to Change Incoming Call Background, selecting the best out of them is quite difficult. So, below I’ve shared the Top 3 Best Call Screen App for Android. Color Phone Flash is one of the most popular and Best Call Theme Changer App with 10M+ Downloads & Rating of 4.7 on Google Play Store. The App comes with tons of Themes & Animations that will change your Phone’s Incoming Call UI in a single click. It also has LED Flash Alert that will blink your flashlight on incoming calls. Now, you can Install this App on your Phone & Customize your Caller Screen. Also, if you want the Setup Guide, here is the step by step guide to Setup the App. 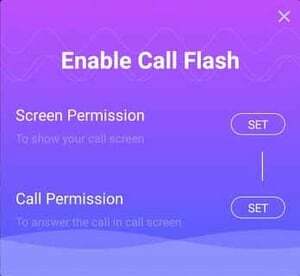 How to Change Call Animation Using Color Phone Flash App? After download, Open the App and click on OK Button as shown below. Allow the Permissions it requires. 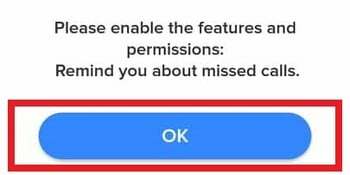 Now, the App will need Notification Access, Just give the Notification Access Permission. After that, you’ll be redirected to the Home Screen of the App where you can find tons of Themes. Select any of the Theme you like. Finally, Click on Set for All or if you want, you can also set the theme for any particular Contact. Done! Your Caller Theme has been changed successfully. Whenever there is an Incoming Call, you’ll see this amazing Call Screen Wallpaper. Call Flash is another Best App to Change Incoming Call Screen. The App is quite popular and has 10M+ Downloads and Rating of 4.6 on Play Store. The App has a variety of beautiful and amazing Themes that can be applied on Caller Screen. You just have to select the theme & Apply it and your Incoming Call will be colorized with beautiful themes and design. How to Change Calling Theme Using Call Flash App? After download, Give all the required permissions. Now, it will ask for Screen Permission & Call Permission. Simply, Give permissions and step further. You will be redirected to the Home Screen. Select any of your favorite Theme & Click on Apply it. Done! Your Calling Theme has been changed and every time someone calls you, this theme will appear. 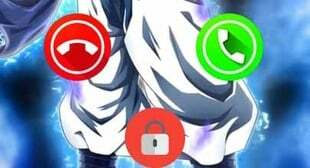 If you are an Anime Fan and Love Watching Anime, then you can select this App to Change Call UI. The App has over 100K+ Downloads and Ratings of 4.6 on Play Store. You can select any Theme from different categories including Funny, Love, Anime, Live, Amoled Live, etc. Select any of the Theme and Set it as Custom Calling Animation. Like other Theme Changer App, this App also has LED Flash Light Call Alert Feature. 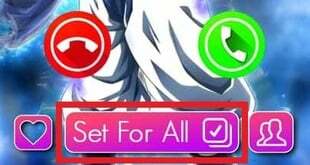 How to Change Calling Animation of Screen Using Color Screen Phone App? 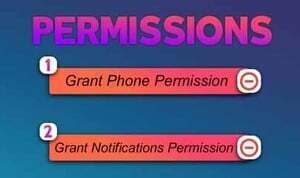 Give the App Phone Permission & Notifications Permission. On the next page, you’ll see many different categories to Select from. Simply, Click on any Category you like. Now, Select any Theme and Click on Unlock Button. Finally, Click On Select for All and Done! Done! Your Custom 3D Animation Caller Screen has been set. For every incoming call, your Theme will be activated and you’ll see your new custom animation screen. Another best method to Change Calling Interface is by Changing Background Wallpaper. 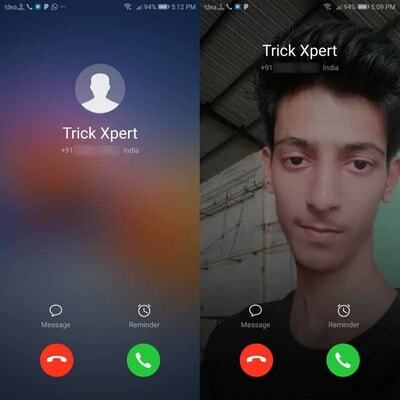 In most of the phones, you’ll get transparent Calling Interface and that can be changed by Changing the Android Phone Wallpaper. This method works perfectly fine on Honor and Xiaomi Devices. 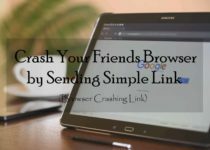 Apart from this, you can try this on your Device too and let me know in the comment whether it worked on your phone or not. If your Phone is using Transparent Theme for Calling Interface, then it can be easily changed by Changing the Wallpaper. You can select any of the Wallpaper from your Gallery or you can Download Wallpaper App for Android. Below I’ve also shared some of the Best Wallpaper Apps. Google Wallpapers is one of the Best Wallpaper Apps by Google where you can find tons of different Wallpapers in many different categories. The App has collections of many different wallpapers from Google Earth, Google+ and many other partners. You can also set Wallpapers on your Home Screen & Lock Screen. If you are looking to Change 3D Call Screen Background, then you can use this App. This is a 3D Wallpaper App that will give you a 3D Effect on your Home Screen & Lock Screen. This Wallpaper App has many different features including Theme Changer Widget, Smooth Experience, Multi-Layer Collection, New Themes, etc. AMOLED Wallpapers is one of the Best Wallpaper that can also Increase your Phones Battery Life. The App comes with Dark Wallpapers with up to 4K Resolution. The App has 10+ different category to choose from and comes with Beautiful User Interface. You can use this Wallpaper App to Change Call Screen Look and also to Increase your Screen On Time. Long Press anywhere on the Screen. Select any Wallpapers from the list or from your Gallery. Here is how my Phone’s Calling UI look before and after changing the Wallpaper. Note: This method will not Work on all the Phones, this is only for selected Phones. You might have changed your phones look completely using Custom Roms but for those who want to Change Theme & Design of the phone, Android Launchers are still best without root. Changing Phones Theme using Launchers can also change the Incoming & Outgoing Call Background. There are tons of Themes available and you can use any of them. If you are confused with the Launchers, here I’ve shared the list of Top 10 Best Android Launchers that you can check and select anyone for your phone. Also, below are few other launchers that you can use to Customize Incoming Call Screen. GO Launcher is one of the best and most popular 3D Launcher for Android Devices. The App has 100M+ Downloads & Rating of 4.5 on Play Store. 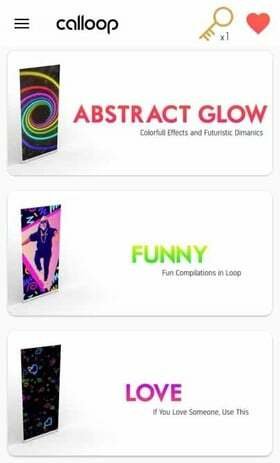 The App comes with many specifications including 3D Themes, 10000+ Mobile Themes, Android Widgets, Phone Booster, In-Built App Lock, 20+ Screen Animation Effects and much more. This theme can be easily used to Change Background UI in Call. With 50M+ Downloads & Ratings of 4.6 On Google Play Store, Nova Launcher has become one of the most popular launcher in the list. If you are looking for How to Change Call Receiving Style in Android, then you can use this Theme. Nova Launcher comes with many customization options where you can Customize App Icon, App Drawer, Scrollable Dock, Widgets in Dock, Color Controls and much more. C Launcher is another Best Theme Changer for Android in the list. The App has 10M+ Downloads & Ratings of 4.5 on Google Play Store. The Launcher has many features including 3D Effects, Multiple Theme Support, Battery Saving Mode, Customizable Interface, etc. Moreover, the Theme is highly customizable and you can easily customize according to your needs. Another Best method to Set Incoming Call Screen Style is by Adding the Contact Image. The method is simple and easy to use, you just have to add the image of the contact and whenever you receive a call, you’ll see their image. This method also helps to identify the caller immediately without seeing the name and number. Just like you save any number, you also have to add the image for the contact. Dial the Number you want to Save. Now, Save the number as you usually save. Next, Click on the Image Icon to add the Contact Image. Select the Contact Image from your Gallery. Finally, Click on Save the Number. Done! Now, whenever you receive a call, you will also see an Image of the Caller. 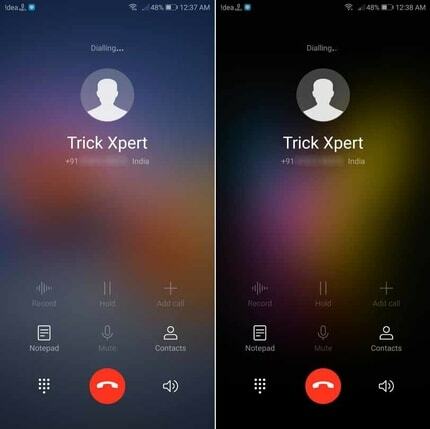 Below is the Screenshot of the Caller Screen before and after adding the image. If you are looking to Change Incoming Call Themes for Android without Downloading any App, then this method is for you. This method might not available for all the Smartphones, So, if not available, you can try the above methods. The Method is simple, you just have to look for the Call Theme settings from your Dialer. If it’s available, you can Change Default Call Theme to the new one. To Change the Calling Theme, Open Dialer > Go to Settings > Look for Incoming Call Screen Style. If you have this option available in your device, you can change the Theme from Classic to a new one. This was the Article On How to Change Call Screen Background In Android. Apart from this, there are many other methods to Replace Call Screen Background but here I’ve shared the Top 5 Methods out of them. These methods can be used to Change Call Screen Background In MIUI 10, Samsung Phones, Honor EMUI and most of the other Smartphones. You can use any of these methods to Change Caller Screen In Android Phones. 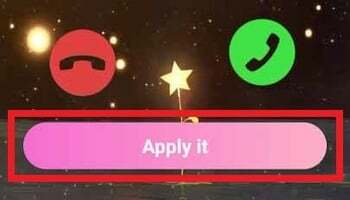 You can either keep the Contact Photo or use the App to Change Call Background Theme. Also, you can set Automatic Theme Changer for every call that will Automatically Change Call Screen Background with a new theme with every new call. Hope you liked this Article On Change Call Screen Background. Do Comment below if you have any query. Stay tuned with us for more latest Tricks & Updates. This trick is really awesome. Thanks for the post.